I flew halfway across the world this summer out of obedience. The Lord made it clear that I was to obey Him and go. So I did. I was a little fearful and a lot excited, and I had no idea what to expect. Except that I knew I was going to meet a woman named Dina and her little girl, Abby. We had already spoken via Skype and I knew the premise of our meeting would be Down syndrome. 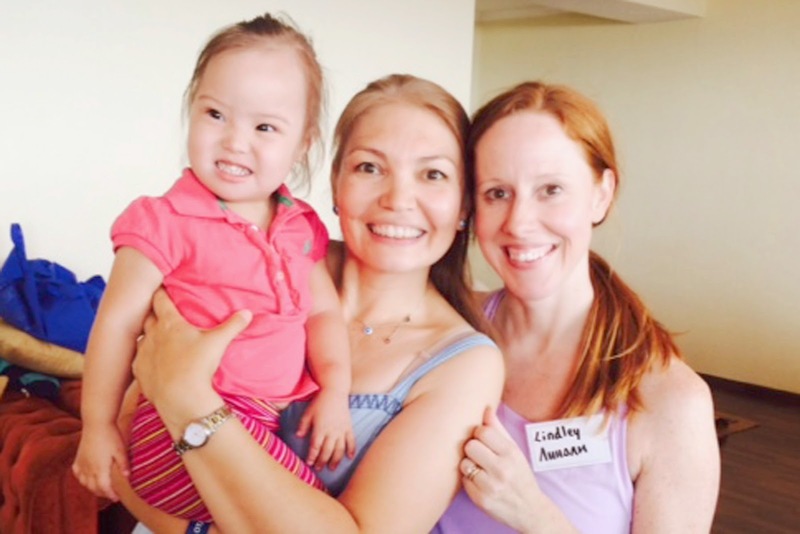 She has a daughter with Down syndrome and was leading a group for mom's of children with Down syndrome in Kyrgyzstan. I also happen to be a mom of a child with Down syndrome and she was hoping that maybe I could tell about our story with Way and also shed light on some resources we have in the US, as well as therapies, activities, best practices, etc. I spoke twice to her mom's group and perhaps the real light I shed on Down syndrome was not as much about our therapies, etc., but it was that we kept our baby, even after finding out at our 20 week ultrasound that he would have Down syndrome. And, that he brings us joy! They were astonished to know that we chose to keep our baby and believe all life is precious. The moms were also amazed that we receive intervention and therapies from our state. The government in Kyrgyzstan is not as advanced as it is here in the US. 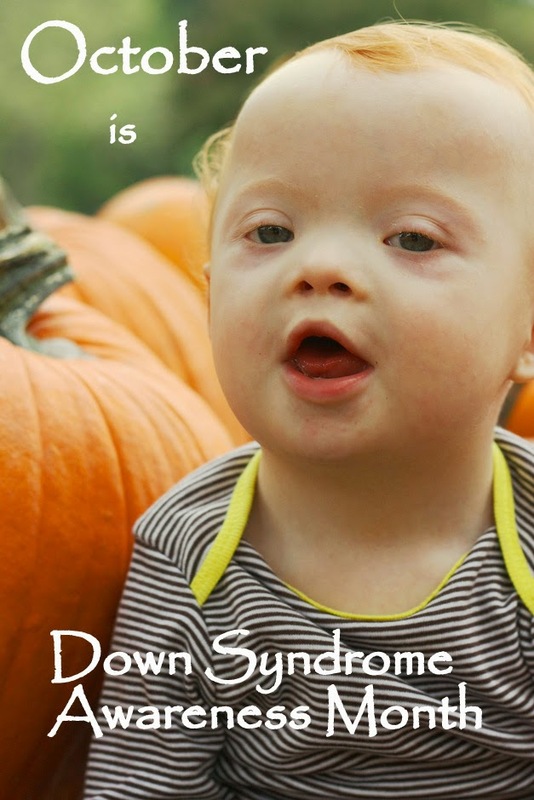 The public still believes one is cursed if he/she has Down syndrome. 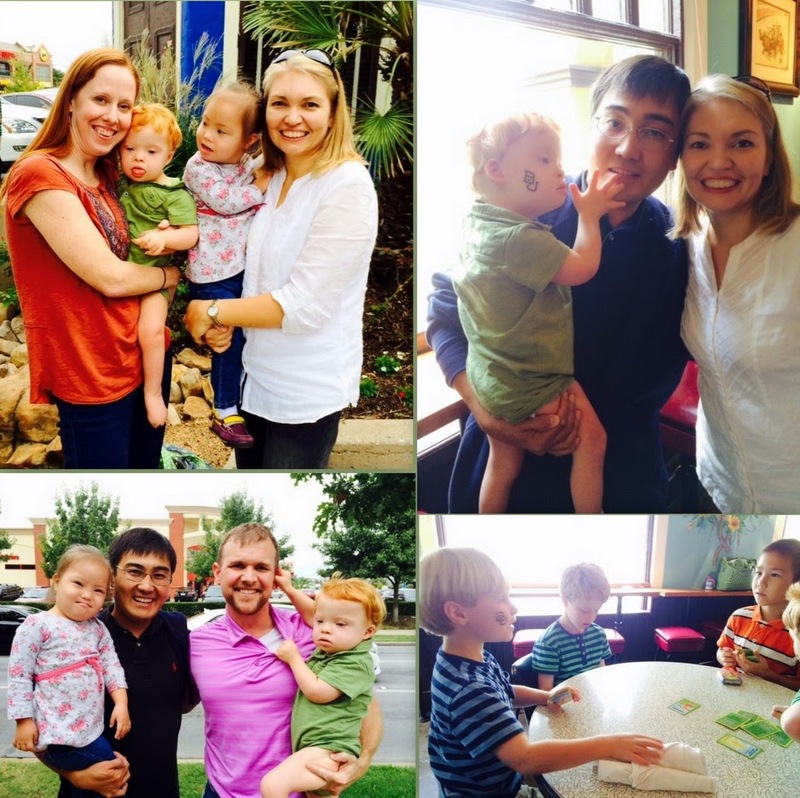 There is not a lot of hope found in families when they birth babies with Down syndrome. In fact, children with DS are often hidden. It is heartbreaking. So, while I was there to possibly shed light on other viewpoints in the world and maybe give them some tools to use for their own children, Dina and her friends were the ones who really shined. My friend, Dina, struggled when she first had her daughter, even though she had faith in the Lord. How would she get support for Abby? 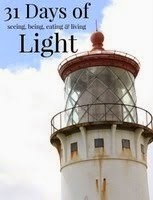 How would she figure out what to do in a culture that viewed her little girl as a curse? She and her husband grieved and prayed. And then? Well then, they got to work. Dina reached out to other moms she heard about and placed ads in the paper in an attempt to reach other moms with children with DS. Perhaps they could be each other's support. And sure enough, they were. They are. All because the Lord put it on Dina's heart to encourage. What a light Dina has been to those moms. What a light she has shined on Down syndrome. When I saw and met these moms, who live in the hardest of conditions, often without husbands (because they have left their wives), and with little financial or family support, and full of fear, I was forever changed. They had met their little ones and were still choosing to fight for them. These moms were able to see their babies as precious--even though they didn't know exactly how to help them. Even though they were afraid, they answered that ad in the paper and showed up to join together with other moms who knew. This weekend my family was able to meet Dina and her family! 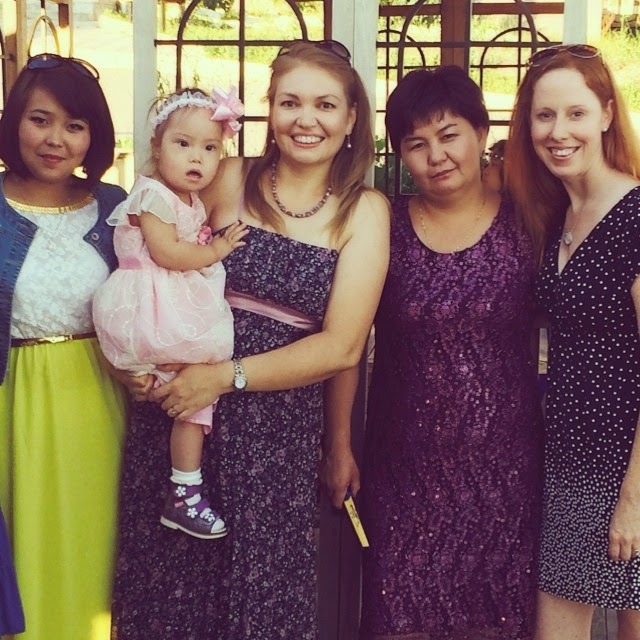 She, her husband and two children are in the States for a year, and are taking Child and Family Life classes, with the dream of being able to take back what they've learned to share with their friends in Kyrgyzstan. I was beyond thrilled to have my hubby meet Dina and her family and for our Way and Abby to meet as well. What a light Dina has been to me and to the other moms she is encouraging in her home country. I am so very thankful the Lord took me halfway around the world to meet her and then brought her halfway around the world for us to meet up again! What a great story! My cousin was born with Down's in the 1960's and it was pretty much the same then as you discuss. Thanks for sharing your trip!